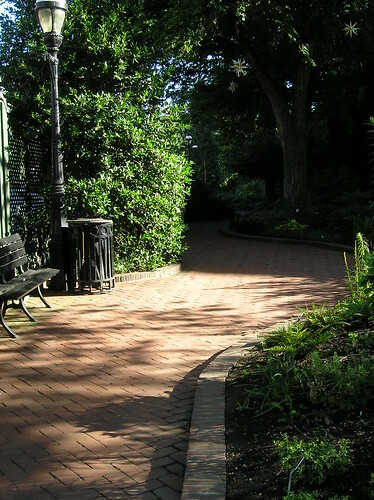 Created in 1988, the Ripley Garden is sandwiched into a narrow space between the Hirshhorn Museum and Sculpture Garden and the old Arts and Industries building. 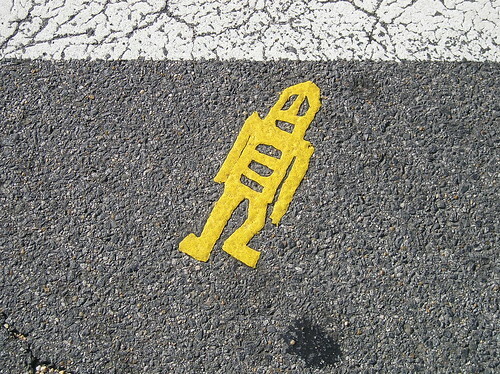 Its easy to miss if you aren’t aware it’s there. I miss not visiting it as often as I once was able to, as it has many nice features. The garden has a fountain and planters and you can learn the names of the plants from the labels next to them. 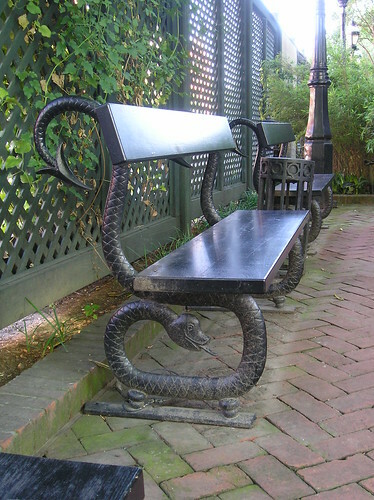 One thing I especially like are the park benches with brackets shaped like snakes. I thought I would share a few images to give you an idea of what its like. If you intend to be on or near the mall tomorrow, you may want to be aware of the road closures or events related to the Race for the Cure that will impact the Mall tomorrow. Starting as early as 7:30, and lasting until 11:00 a.m., the race will have a major impact on the area. You can read the entire DDOT release below, or click on the map or link below to go directly to the race Web site for more details.